www.ultimatehandyman.co.uk • View topic - Black and Decker circular saw SEC/9S made in Italy? 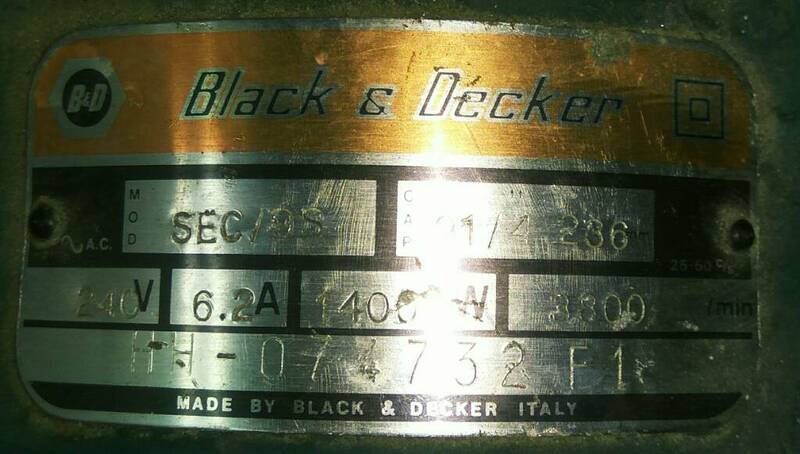 Black and Decker circular saw SEC/9S made in Italy? 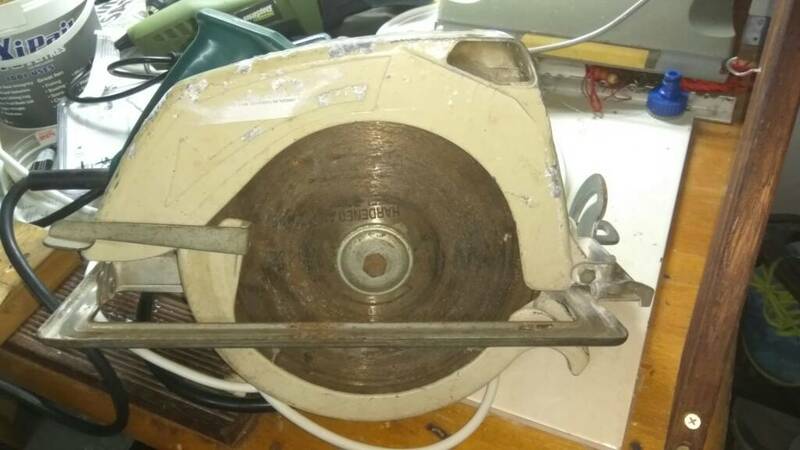 Post subject: Black and Decker circular saw SEC/9S made in Italy? I just bought this old unit from a second hand store. It needs a new power cable but seems to work well with no blade wobble. I can't find any information on it doing a google search, and was wondering if anyone has any clues as to when it was made and if brushes are still available for it? 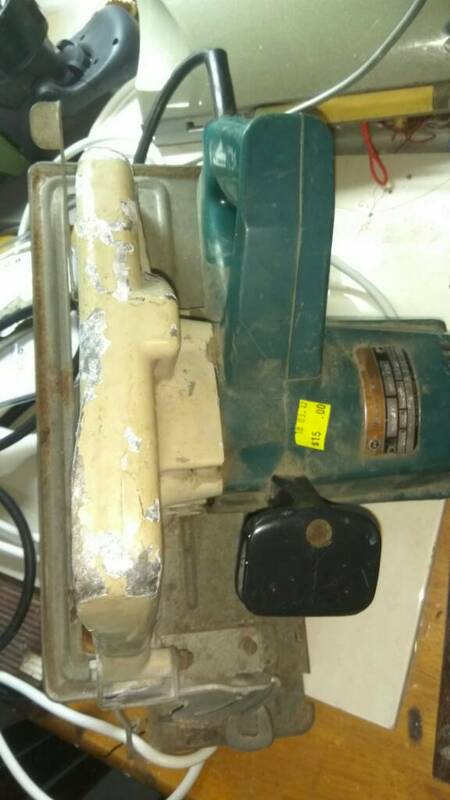 Post subject: Re: Black and Decker circular saw SEC/9S made in Italy? Are you in the US, Canada or the land down under ? That makes it post 1979 - B&D started to date stuff manufactured in the UK in 1980 (when they opened Spennymoor?). I've got a couple of Italian-made B&D tools from the early 1980s (dated from Italian advertising materials) and they have no dates in them. B&D started up production of corded tools in Italy somewhere in the mid-1970s making mainly UK- and USA-derived designs at first but they very quickly developed their own tools. I suspect that B&D Italy stuff was initially manufactured by a firm called Star, who seem to have made mainly drills and who were later bought-out by B&D (if you ever saw those pistol grip drills sold in the mid-1980s to early 1990s under the Elu and B&D Industrial brands, they were actually the last Star designed power tools before the firm was completely absorbed). All B&D Industrial and Elu power tools were rebranded deWalt in the early 1990s and many designs from competing manufacturing plants in Germany. Italy, UK, Canada, USA, etc were dropped when production was streamlined. I thought "80s" when I saw it. This page about the logos says that one was used from 1984-2014. You're right it is. My mistake. I thought that was an earlier Logo. I know I've got a jigsaw somewhere that I'm sure has got that logo on it. That must be from the late 70s early 80s. I could be wrong, but I think that late 60s(?) early 70s tools were alloy with gold paint. Then they went to orange and light grey alloy, then blue on alloy, then blue plastic. I'd have thought that the blue alloy changed to blue plastic sometime mid-late 70s, which would make the plastic tools in 1976 right. Meant to say, dad had a jigsaw that was silver. He got it off a mate of his. Must have been early / mid 60s, to that's make the silver ones a bit earlier.